Stephanie is a senior at BPHS and took journalism for her fourth year because she likes to have her opinions and ideas shared. She wants everyone to read and know the truth even if they don't want to hear it. She also took it because her favorite teacher is the one, the only, Mr. Allemang. 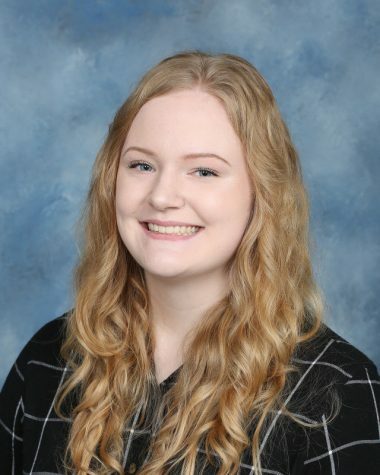 She is so passionate about journalism that she got accepted into this year's Point Park apprenticeship program for journalistic writing and reporting to amp up her writing skills. If you don't find her plugging away on articles, you can possibly find her at home thinking of article ideas, attending a Pittsburgh Penguins hockey game, a concert, or just having a good time with her friends. Post high school, Stephanie wants to get a bachelor's degree in journalism. Specifically environmental journalism. Her dream college is Point Park, but she would also be happy to attend California University of Pennsylvania.